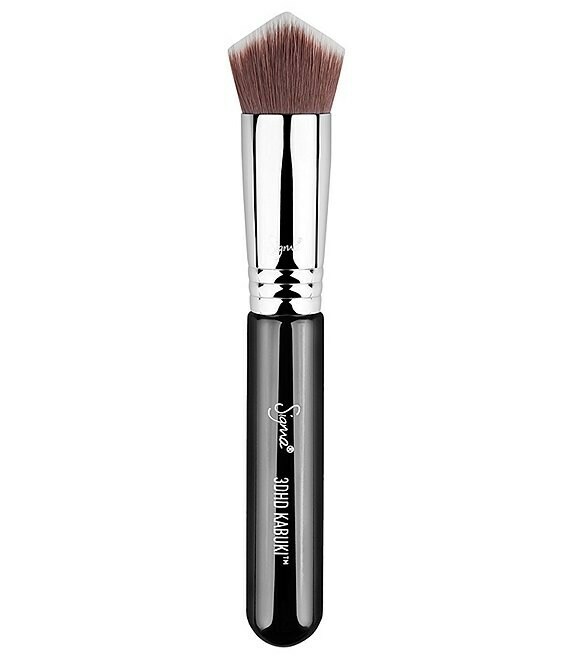 The 3DHD™ Kabuki Brush is a multifunctional brush engineered to perfection. It was uniquely designed for all areas of the face to apply liquid, cream and powder products uniformly on every curve, crease and angle. Patent No. D718060. Ridge: The functional ridge at the top of the brush has the perfect angle to apply liquid, cream or powder products, reaching every curve, crease and angle. Designed with a structure that is effortlessly multifunctional, 3DHD™ will do all the work for you, without having to move a single muscle of the face. Point: The sharp point of the product can be used for highly precise application of cream, liquid and powder products. The point allows products to be perfectly applied in the undereye area and around the mouth.